Windsurfing, SUP, mountain biking, TI swimming and bridging the gap between connected customers and enterprises by using cloud contact center technology. As compliance and cybersecurity continue to evolve, Sysnet and Bright Pattern will remain vigilant partners to keep payment card information out of the hands of hackers. Even with a lot of questions and a tight timeline, Bright Pattern’s talented support staff helped VIPdesk Connect complete migration in one week. Why Nudge.ai? Reach out to the decision makers at Bright Pattern, Inc. with a personalized email - let them know that you found their recent news mention interesting. Executives and decision-makers at Bright Pattern, Inc.
Nudge.ai’s relationship intelligence platform can help you find the right executive to reach out to at Bright Pattern, Inc., such as Shelby Faris, Marketing Manager, or Konstantin Kishinsky, Founder & CTO. Then get in touch and start a conversation. Connectors at Bright Pattern, Inc.
Executives can be difficult to reach, but every company has connectors who bring together people and ideas. At Bright Pattern, Inc., people like Darren Prine, and Konstantin Kishinsky are likely connectors. Topics frequently mentioned alongside Bright Pattern, Inc. When Bright Pattern, Inc. is mentioned in the news, Nudge.ai often sees topics like Customer Service, and Travel. If your conversation focuses on these topics, you’ll probably get Bright Pattern, Inc.’s attention. Companies frequently mentioned alongside Bright Pattern, Inc. When Bright Pattern, Inc. is mentioned in the news, companies such as Tangerine, IQPC, and Avaya are often also mentioned. These companies can serve as customer examples. Employees who are often in the news are usually open to starting conversations or exploring ideas. Nudge.ai's sales AI saw Konstantin Kishinsky, Michael Mccloskey, and Brian Hays from Bright Pattern, Inc. recently mentioned in the news. Don’t miss out on these top events! 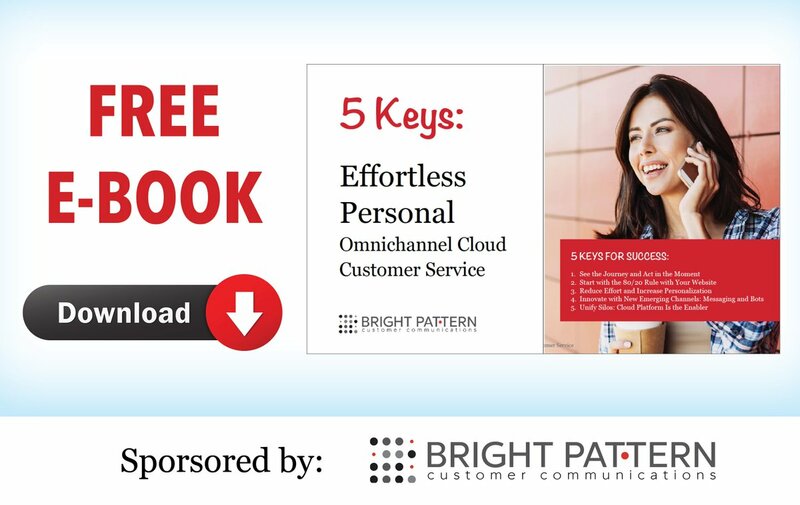 Bright Pattern will be a sponsor at all events, so be sure to check out our omnichannel contact center platform! Who in your network can introduce you to Bright Pattern, Inc.? Nudge.ai finds the best pathway to reach contacts at this company.